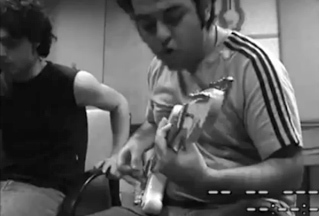 In summer of 2009 Emad Lashkari (guitars) and Navid Arbabian (bass/guitars/vocal) founded the Kilometre 23 band. Later Ali Baghfar (drums) Masoud Hosseini (guitar/vocals) and Pouyan Romezi (words) joined the band and after that in spring 2010 Pooyan Ghandi (guitars) joined us. "Locomotive Khasteh" (Tired Locomotive) album.